Have you noticed how much easier it is to find healthy, pre-packaged food options these days? Pre- packaged food used to be full of salts and preservatives. Your choices were limited to food that had already been cooked and was then frozen and ready for re-heating before you could dig in to it. Today, we have many more fresh, raw food options giving consumers some healthy choices for quick-fix meals or snacks on the go. The reason for this explosion in options can be traced back to food grade industrial gases. Mississauga consumers have no doubt noticed the variety of fresh, great-tasting food options they can buy thanks to these gases. Food grade industrial gases most often include Nitrogen, Oxygen, and Carbon Dioxide. These three gases help make “Modified Atmosphere Packaging” (MAP) possible. MAP packaging enhances a food’s shelf life while still retaining the natural flavors and nutritional benefits of the food. It’s used to package fresh fruits and vegetables, but also fish, seafood, meat, poultry, and even baked goods. MAP gases are specifically chosen for their odourless, colourless, non-toxic qualities. When combined in the right amounts these three gases can be used to create unique gas mixtures that preserve many different kinds of foods. Together with advances in freezing, chilling, and packaging technologies, these industrial gases are finding their way to kitchens all around the country. Preserve taste, texture, and colour of foods. 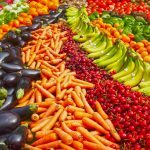 Reduce food waste and business losses. 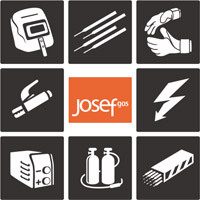 Josef Gas supplies food grade industrial gases to Mississauga businesses and food packagers. We offer several different gas mixtures as well as pure Carbon Dioxide, Oxygen, and Nitrogen to help ensure you receive the right gas for your needs. View our list of food grade industrial gases, here, then contact us at 416.658.1212 to discuss your industrial gas needs or to arrange delivery.